said a room needs to be expensive? 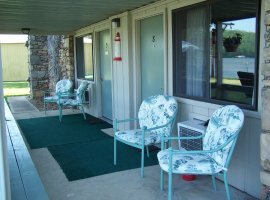 These units include one queen bed, 24″ TV, DirecTV, WiFi, compact refrigerator, clock with radio and full bathroom. These rooms do not overlook the lake but they are only a few steps away to your lakefront fun and relaxation. 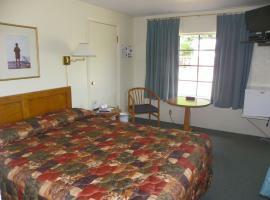 This is a quiet getaway for only $54.95 single occupancy and $66.95 double occupancy. 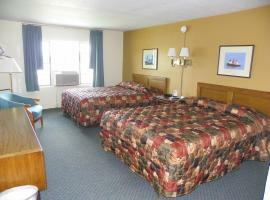 Two queen beds await your restful stay at the Waters Edge Motel. 32″ TV, DirecTV, WiFi, comfortable chair, dresser with mirror, nightstand, clock with radio, hair dryer, refrigerator, microwave, coffeemaker, and coffee will provide most of the comforts of home. Open your drapes for the most beautiful sunrise at the Lake of the Ozarks. Lake View rooms are located at highway level with a beautiful view of the lake, but all yard activities are yours to enjoy. Swimming, boating, fishing, cook-outs or just relaxing in the sun, you are just steps away. These units sleep up to 4 people and we can even provide a crib for the little one. coffeemaker, coffee, microwave, hairdryer, iron, and board. Need more beds? We can provide a roll-a-way bed in the room for an additional guest so you can sleep up to five people comfortably. Don’t forget the crib, we can do that too! Enjoy your morning coffee relaxing under your own private pavilion. Your days’ activity could include swimming, fishing, play a rousing game of horseshoes and cook-outs. This room is perfect for you. $91.95 double occupancy. These rooms require 2 or more nights stay. You will see some of the most beautiful views of the lake with a picture perfect setting out your window or door. Our rooms are exceptionally clean, non-smoking, and our lakefront lawn is manicured.